Are you looking for Mole Control in NJ? ALCO Animal & Pest Control offers prompt, professional and safe Mole Control in NJ since 1995 for many satisfied clients. Whether it is residential or commercial Mole Control , ALCO Animal & Pest Control will solve your Mole problem in no time. 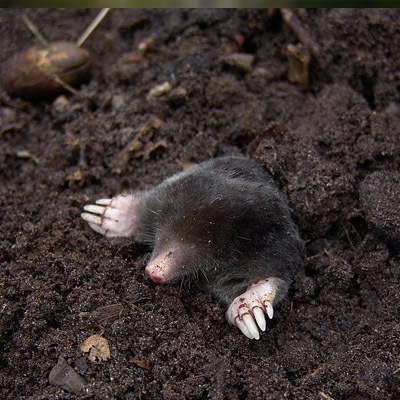 Our trained and experienced NJ Mole Control technicians are qualified to handle a variety of Mole situations and can rest assure to restore your normal life, keep you, your children, or your employees safe and keep you in line with state and local animal laws. ALCO Animal & Pest Control uses environmentally friendly Mole Control products as well as humane Mole Control methods to keep you and your children safe while performing the Mole Control job. Our knowledgeable pest technician will answer any questions you may have and explain to you every detail you need or want to know about the job. We are always friendly and we are here to help. Moles are famous burrowing mammals that can cause significant damage to your property with their tunneling. Moles are active all year, though they are especially busy during the Spring and Fall. They can create tripping hazards and can also cause your grass roots to become dislodged, causing your grass to die and your lawn to become patchy. Suffice it to say, Moles are the scourge of beautifully landscaped lawns everywhere. Moles love to eat insects and earthworms that live underground. As a result, they are rarely seen on the surface. Long gaps between mole mounds appearing on your lawn might give you a false sense of security, but moles rarely leave on their own unless they are deprived of their food source. Trapping is the most time tested and effective means of controlling moles. However, trapping moles can be a difficult and frustrating experience best left to the professionals.